If you like soft and gooey chocolate chip cookies, toll house pie is for you. This recipe has more filling than most for extra goodness in every bite! 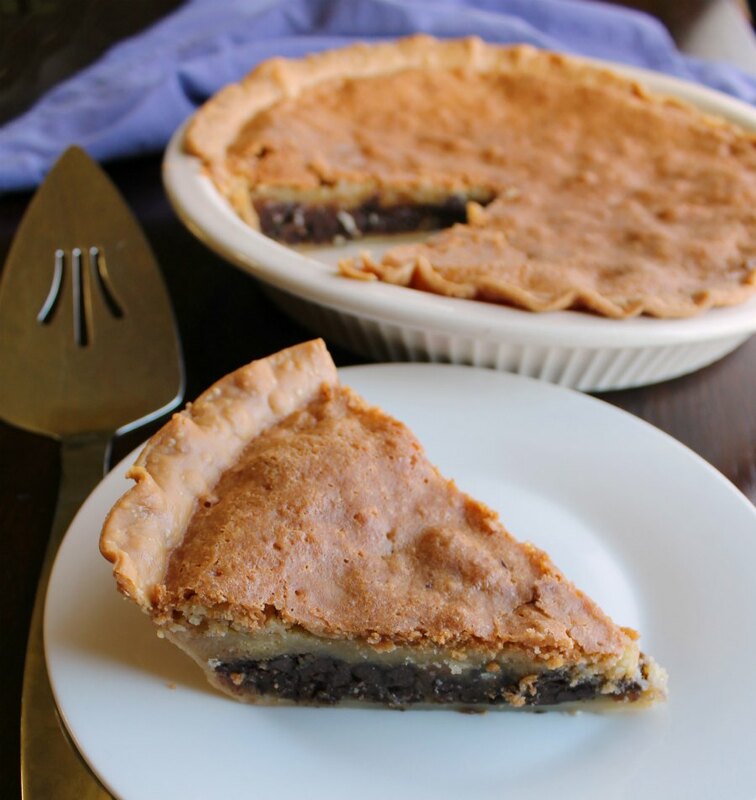 The perfect mix of buttery, brown sugary, chocolate chip-y goodness baked into a pie shell. The flaky crust helps deliver a filling that highlights the best part of a chocolate chip cookie. 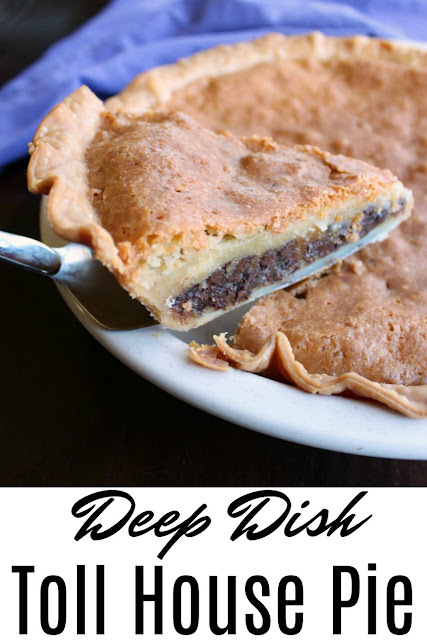 This recipe is extra good because there is extra filling waiting between the crackly top and the pie crust bottom! I was looking for a simple desert to make and bring to family dinner. I like to use our weekly get togethers as a testing ground for desserts. Not only do I get a chorus of opinions, which is nice (most of the time!) But I also have a group of family members who are used to being served something with a slice cut out already.... or having to wait for a picture to be taken before they eat. We had a really busy weekend planned, so I needed something that would come together quickly. Plus it had to be easy to transport and ok with sitting in the car for a few hours while we went to a birthday party. Luckily Toll House pie is a winner on all of these fronts! It only takes a few minutes to put together the filling and it is made of things you are likely to already have on hand. Once baked and cooled, it is perfectly easy to take from here to there. I just popped it in my pie box and we were off for an afternoon of bowling followed by dinner and dessert at my parents'. Of course I searched my own site for the recipe as I knew MiMi had shared it early on. So early on that practically nobody had seen it. It seemed like the right thing to do to reshare it with you. 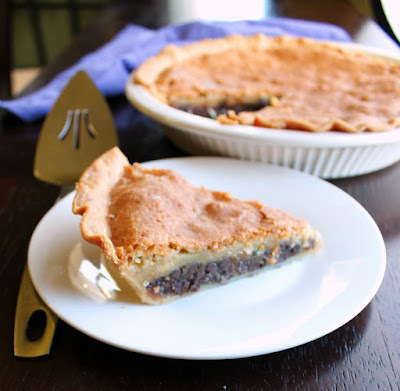 If you have never had a Toll House pie, you don't know what you are missing and I need to help you find your way! If you have had one before, you likely haven't had it like this. There is more filling here for your enjoyment after all!! Toll house pie is a family tradition. Whenever it was time to bring a pie to school for pi day or something, MiMi almost always suggested Toll House Pie. Just thinking of it makes me hungry. I had been thinking about making one, but with all of the other pies we have had recently, I just couldn't bring myself to do it. MiMi woke up today thinking about it too. When she saw my mention of one in a post, she had to make one. So we had toll house pie after all! 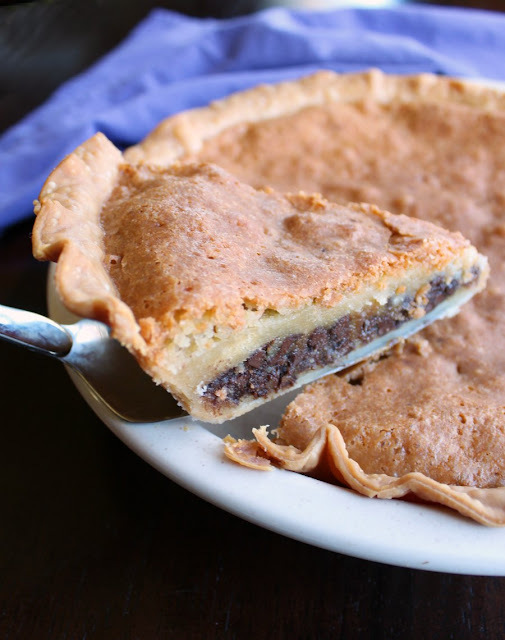 If you've never had a toll house pie, it is like a gooey chocolate chip cookie in pie form. Think about that for a second! Yum! Homemade chocolate cookies were almost a staple in our home when our children were younger. When I came across the recipe for tollhouse pie I knew I had to try it. Since I have a large pie dish I decided to make the recipe larger than called for. The original recipe fell a little short. I recommend putting a cookie sheet under the pie tin just in case. 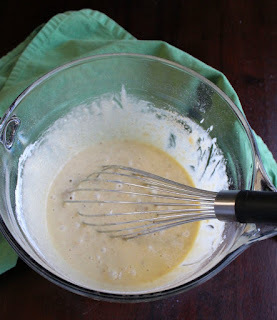 In a large bowl, beat eggs until frothy. Use 1 T of flour and mix it in with the chocolate chips to keep them from sinking. Add the remainder of the flour, sugar and brown sugar to the eggs. Beat until well blended. Stir in melted butter and chocolate chips. Pour mixture into a prepared pie shell. Bake at 325 F for 50 minutes to an hour. You may want to cover the edges of the crust if they are getting too brown. I am in major love here, I probably could eat the whole entire thing! I’m going to have to try this. Have a wonderful weekend! 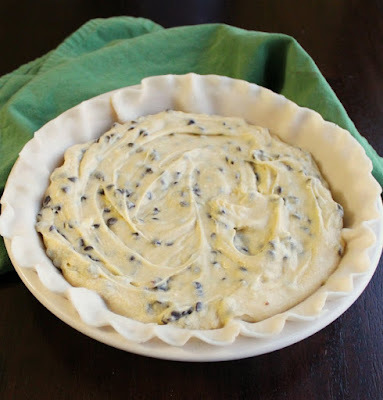 It's such an easy and delicious pie... but I am sure your boys would want you to share! Wow, Carlee, this pie looks like a keeper. And when you take your pie with a piece cut out, I hope you tell your family that you just have to test it to make sure it is not poisonous. Ha ha :) other than you are taking a picture of it! Thank you for sharing this fun recipe. I can't wait to try it!! Have a wonderful week. It's actually pretty selfless of us to taste some first to be sure, don't you think? Oh I just love Toll House pie; it's a huge family favorite. Hi Carlee, I had no idea what a toll house pie was, but looking at the picture I was thinking it looked savoury. My heart did a flip when I realised the dark layer was in fact chocolate and not mince. I may just have to give this recipe a try! I really should make more savory pies, but this is definitely sweet! I'll just be dreaming about this pie the rest of the weekend! Yummy! I can't wait to try this pie! This looks amazing. Why haven't I heard of it? I definitely can't wait to make it! I don't know! Now that you know about it, you have to make it! This pie looks so damn good. I'll glad you picked it to reshare! All of those chocolate chips are screaming my name!!! This pie would not survive a day in my house!!! It didn't last long at our house either! It's one dessert nobody in my family can say no to! Mom's always have the best suggestions! I love Toll House pie! It's been so long since I've made it. I love that it's deep dish. Moms do know their stuff sometimes! The extra filling makes the pie extra good! LOVE LOVE LOVE! This was my favorite dessert at my college dining hall, and I love it - exactly how you made it - to this day! Yay! It brings back such fun memories, doesn't it? I know, it seems like a lot, but it really is 1 1/4 cups of butter. It is tempting to back down on it a bit and see how it goes, but that is the ration of ingredients we've always used. It is a VERY full pie, with more filling than most toll house pie recipes. I hope you enjoyed it even if it did make a bit of a mess! I am going to try and make this with a combo of peanut butter chips and chocolate chips! This pie looks so good! I used to make something like this years ago, and lost the recipe. Now I have a new one! Yay! Hopefully it is as good as you remember!